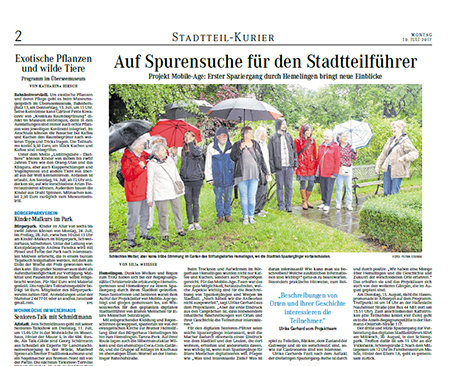 Last summer the project “MobileAge” started in Osterholz. Now it continues in Hemelingen with walks in the district. The next one goes through Arbergen. HEMELINGEN The project “MobileAge” aims at supporting older adult’s access to public services through the use of mobile technology. 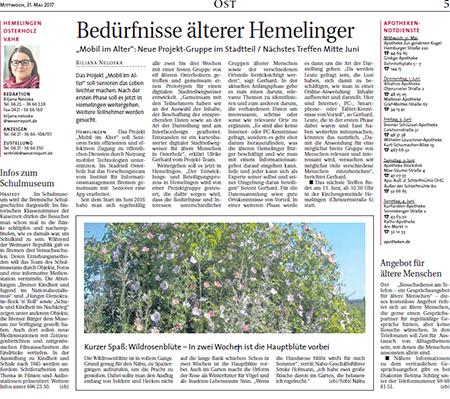 In the district of Osterholz a research team from the Institute for Information Management has developed an app - together with older citizens. 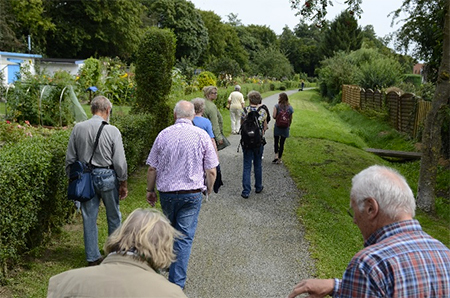 Yesterday we walked with a group of older Hemelingen residents through the neighbourhood “Arbergen”. The focus of the district guide for Hemelingen is on walking routes through the district. On the first walk in Hemelingen an emphasis on historical information as well as information on the accessibility of routes has emerged. 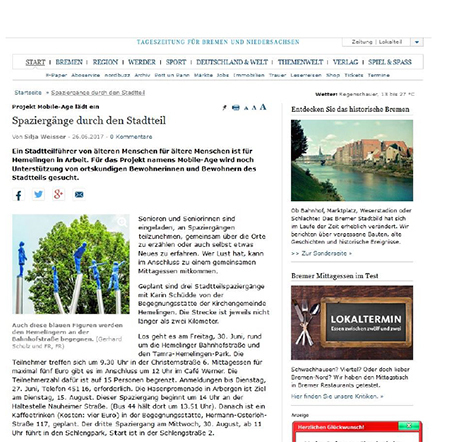 A Workshop on the topic “Digital infrastructures for urban participation, culture and education” took place at the Centre for Computer science and Media technology (ZIMT) at the Hochschule Bremen. Representatives of different disciplines were invited to present their projects and research activities. Hemelingen. Despite dark clouds and rain, residents from Hemelingen have met at the protestant church for a walk through their district. Nine senior citizens had followed the announcement of the MobileAge project team. Together they went off in order to contribute their knowledge to the planned digital district guide for older adults. Equipped with appropriate clothing and umbrellas they walked from the protestant church to the senior residence, came across the community centre and the Tamra-Parc. On their route, they also visited the silver manufactory Wilkens and the former Coca-cola area and they went for lunch to “Eisen Werner”. A district guide by older adults and for older adults in Hemelingen is in the works. Support by familiar local residents for the project MobileAge is still needed. Senior citizens are invited to participate in walkings to jointly talk about the places on the way and also to learn something new about their district. Anyone who likes can join for a lunch after the walk. The project “Mobile Age” aims to improve the lives of older adults. After the first phase it is going on in Hemelingen now. Participants are still needed. HEMELUNGEN The project “Mobile Age” aims to support senior citizens access to public services through the use of mobile technologies. 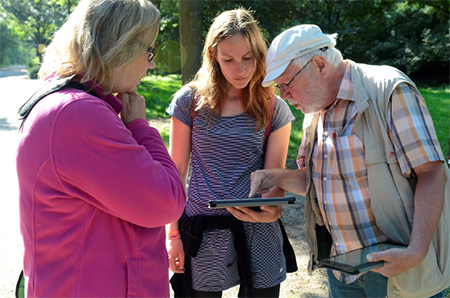 In the district of Osterholz the research team from the Institute for Information management Bremen together with older adults worked on an app. Brand new collaboration with FLOOD-serv project has been established! Our project is proud to announce that one more collaboration has been established with an EU funded project under the same call, the FLOOD-serv project!! 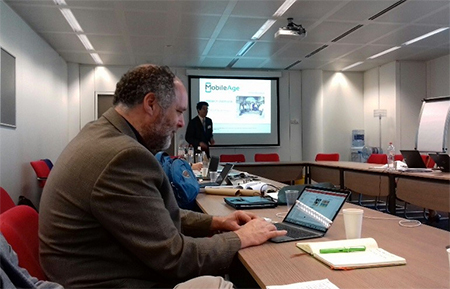 During the 1st EC Review meeting, the Mobile Age consortium presented the project’s progress and achievements accomplished during the first year of its implementation. The meeting which took place on the 25th of April 2017 was attended by the project reviewers - assigned by the European Commission and consortium members.